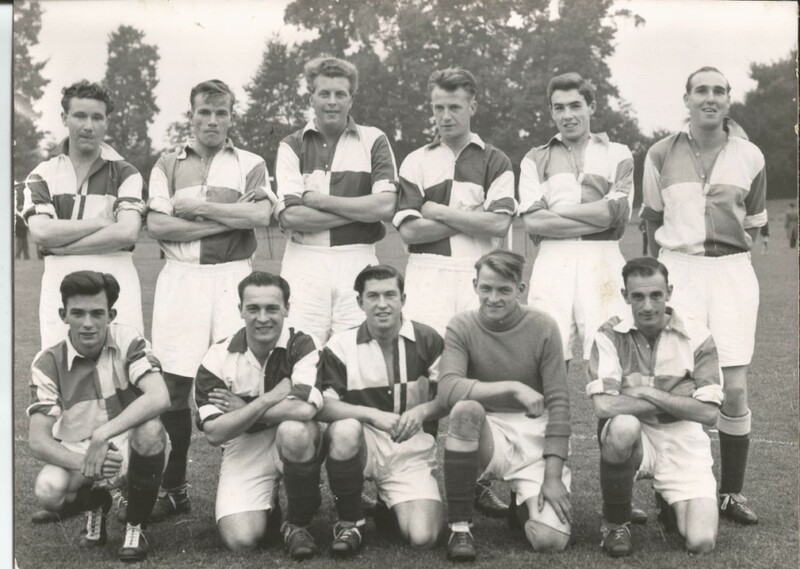 The players pose for a photo before a Wallingford Centenary Celebration Exhibition game against Reading. 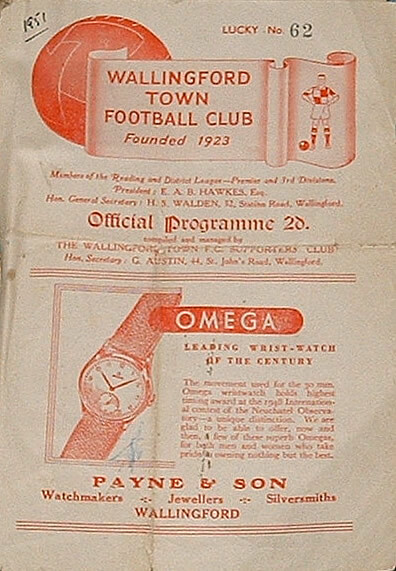 A confident Francis Wardrope is standing in the back row 3rd in from the right and played for Wallingford Town FC from 1952 to 1957. Picture kindly donated by Mr Graeme Wardrope. 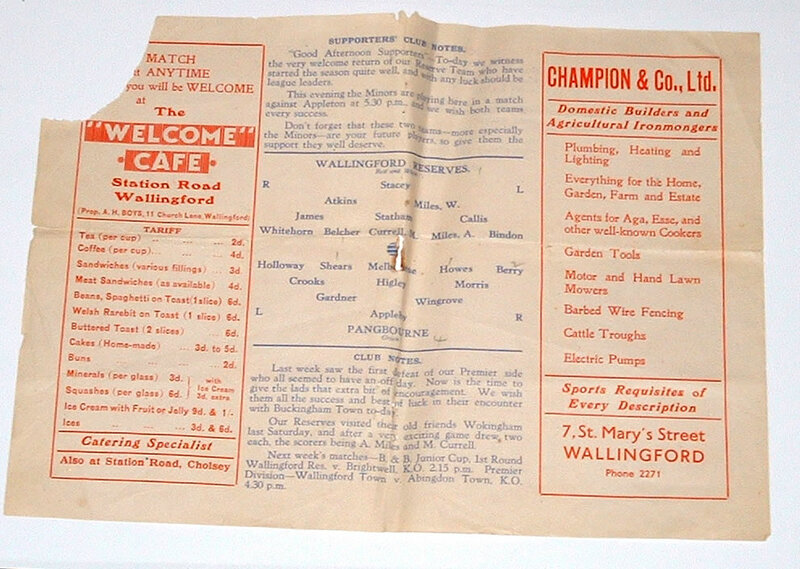 Compliled and managed by the Wallingford Town FC Supporters Club. Club News reports that the 1st Team had recently lost their first League game and were today playing Away to Buckingham Town FC.